Corey Umbrello started bowling when he was just 3 years old. He developed a love for the sport, and when he was old enough, he got involved in both competitive and travel leagues. Now he’s a senior at Vincennes University where he plays on the varsity bowling team. Umbrello is from Massachusetts, and his decision to enroll at Vincennes was based on getting to play on the bowling team and learn the tools of the trade as a student in the university’s bowling management program. “Bowling doesn’t really get out to New England much. From my stand point, I wish it did,” he says. The bowling management industry degree is unique to Vincennes. Umbrello calls the program a one-of-a-kind major. The program started in the 1970s as more of a technical degree to teach students how to operate pin-setters. Over the course of time it developed and the university added management, customer service, marketing, and budgeting to the curriculum. Much of that development can be credited to Gary Sparks, the director of recreational sports, varsity coach and teacher of the program since 1989. “The kids can get business management programs anywhere, but they couldn’t get the bowling part of it and that was really what we were able to give them here,” Sparks says. Enrollment grew throughout the early years of the program — and in the mid-to-late 1990s, it really took off. 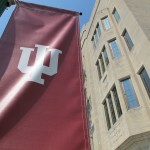 The program even admitted a handful of international students and class sizes peaked. Sparks created material for the program from seminars and clinics. He used operation manuals as textbooks. “Our industry is a unique breed to put it into terms, bowlers like to be around other bowlers, so that was always a big influence in our program,” he says. There have only ever been two of these programs in the country. The other one, which was in Buffalo, N.Y., ended about eight years ago. Now Spark’s program at Vincennes is meeting the same fate. He says it’s not a huge shock. All the excitement over big enrollment numbers was short-lived. The popularity of bowling started fading in the late 90s. 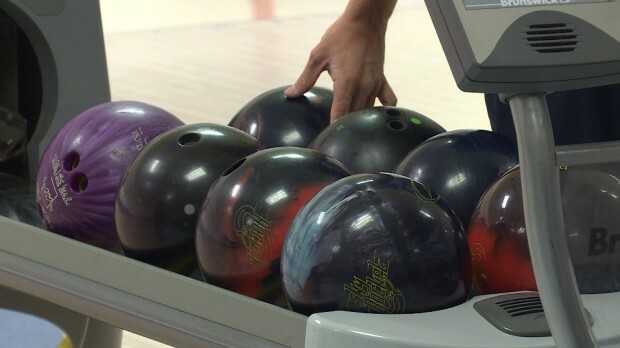 Since 1998, the number of bowling alleys in the U.S. has dropped by 25 percent. Those that have survived aren’t necessarily just bowling alleys anymore. Ones like the Woodland Bowling Center in Indianapolis are typical. There’s an arcade, laser tag, and mini golf. “A lot of the new structures that are being built are being done more so from a recreational side as opposed to the sport side of it,” Sparks says. So to outsiders, a degree in bowling management isn’t critical. Sparks wouldn’t agree with that. Prior to axing the program this year, Vincennes struggled to get enrollment numbers into the double digits. Umbrello was among the last to graduate with a Bowling Management degree. “Not knowing then I was one of the last ones to graduate through the program, looking back, I’m just really lucky to be a part of it,” he says. The focus at Vincennes now is the varsity bowling team. It’s highly decorated with 19 National Junior College Athletic Association national championships, winning three in the last five years alone. And Sparks says even with the degree program gone, students from all over come to be part of the team. Sparks says he hopes the industry as a whole can get back to a focus on developing the sport side of bowling by creating new avenues where players of all kind can pursue the game beyond recreation. ← What Does The ESEA Update Mean For Indiana?